As an advertising writer, I spend countless hours slaving over words. Not just any words, but the perfect words – ones that’ll trigger a desired feeling or reaction. This is much more of an art than most people would realize, and my brain has been trained to think about words in a certain way. Long story short, writing is never as simple as it seems. Unless, that is, it comes to summarizing my feelings about the city of San Francisco. In that case, I find that one word does the trick. I just returned from my second trip to SF in just as many years, and it’s safe to say that I’m officially obsessed with it. 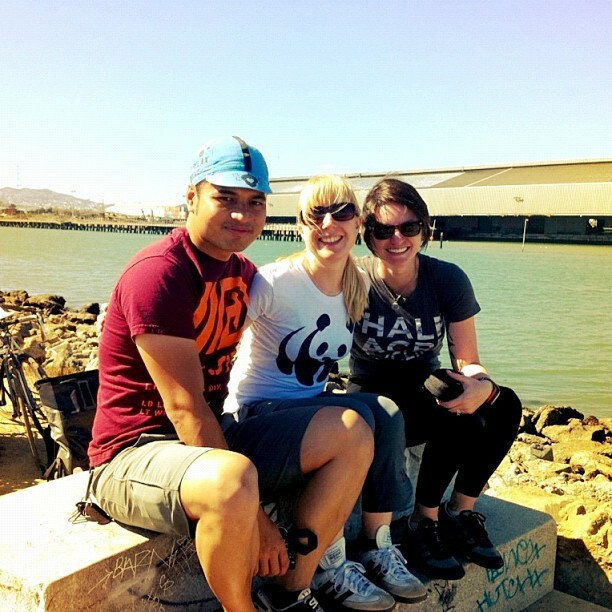 The weather was as beautiful as could be, and our days were spent walking and biking all over town – stopping for food and drinks along the way (of course). We’re lucky to have friends who live there who are as equally food obsessed as we are — taking us to all the spots that the locals love. I knew we ate a lot, but I didn’t really realize how much until I started organizing my photos and writing this post. 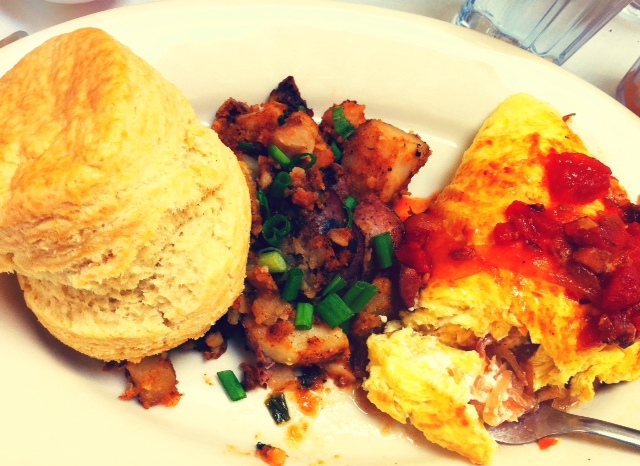 Shrimp, caramelized onion and goat cheese omelet topped with tomato and bacon chutney from Breanda’s. With oven roasted potatoes. And a huge cream biscuit. Up there with the best omelets I’ve ever had. 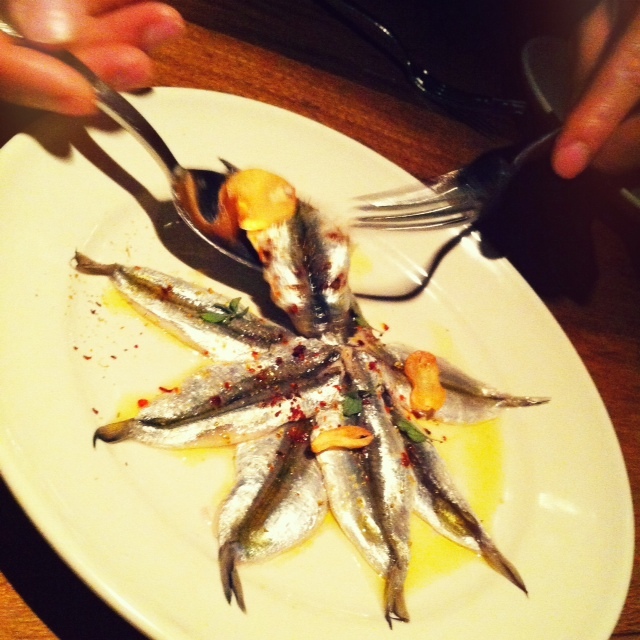 Marinated local anchovies with garlic chips and red pepper flakes from Bar Agricole. 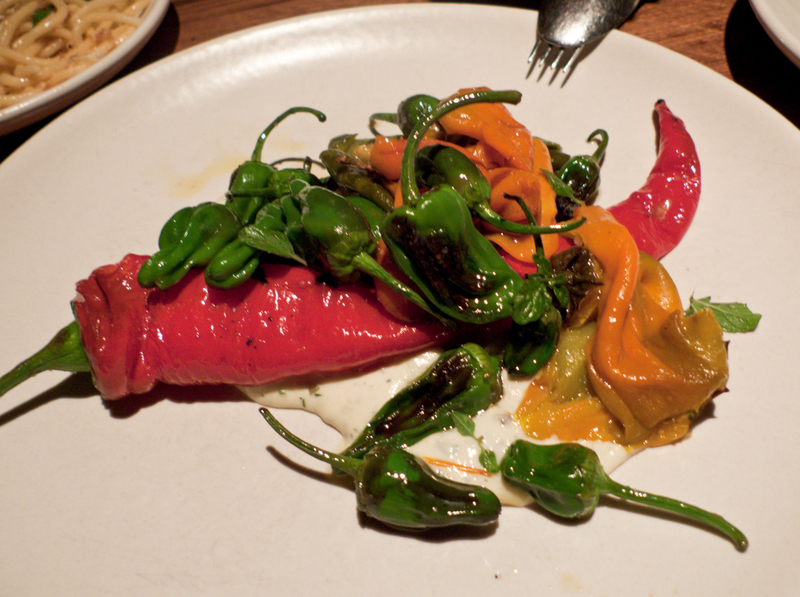 Roasted peppers featuring pardon, gypsy, corno di torro and jimmy nartadello peppers, also from Bar Agricole. 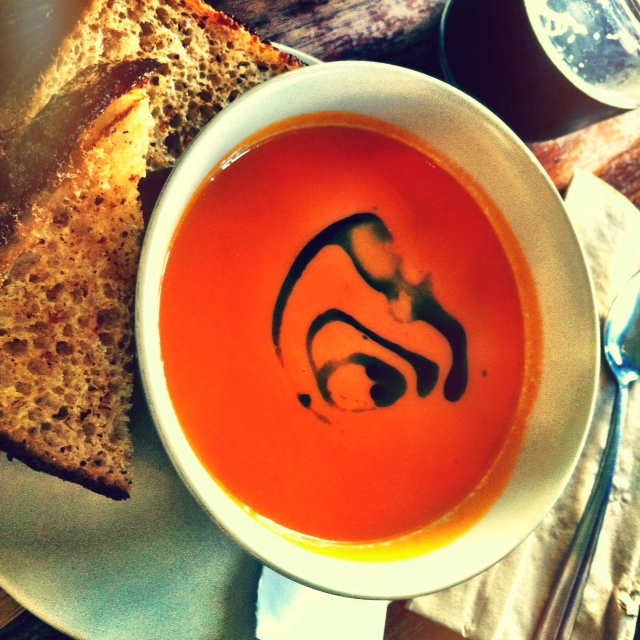 Tomato soup with herb oil drizzle, served with the most amazing freshly baked bread at Outerlands. Also from Outerlands, the open-faced pastrami sandwich with swiss, grainy mustard and housemade pickles. 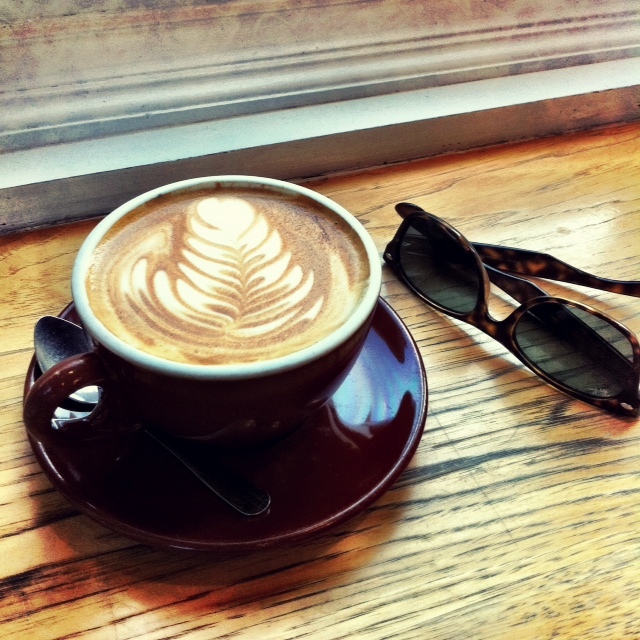 A beautifully made latte from Blue Bottle. 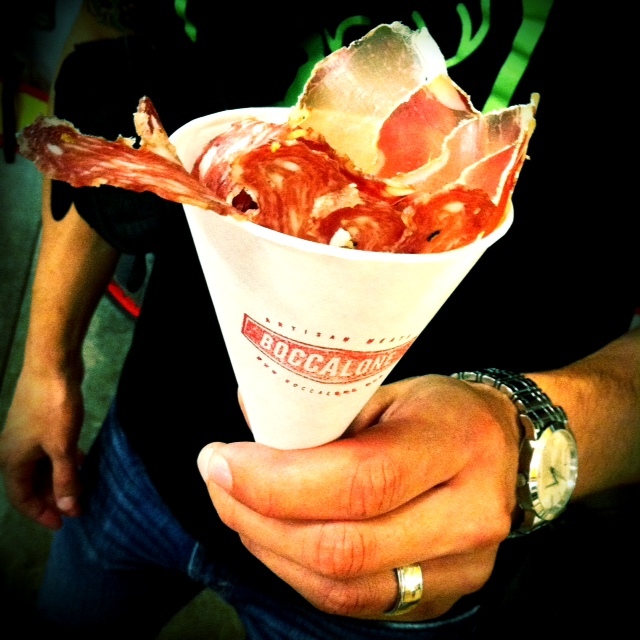 No trip to SF is complete without a salumi cone from Boccalone. Pick up some njuda (spreadable salami) as a souvenir. Now, for the things I ate before I had a chance to take a photo (aka: my food-devouring tendencies took over too quickly) – whoops! Hella good Kobe burger, complete with oven roasted tomato, garlic mayo, housemade pickles and bleu cheese, sandwiched between a homemade challah bun (made at Pinkie’s Bakery, located next door — see below). Peanut butter sandwich cookies? Chocolate peanut butter brownies? Don’t mind if I do. A more relaxed version of one of my SF faves, Burma Superstar. Try the shrimp and eggplant in tomato curry, served over the world’s best coconut rice, or the pork and beans — pork belly, white beans and bok choy served over jasmin rice. Amazing homemade sourdough and pastries. Also worth a try is the warm meatball sandwich with arugula, mozzarella and red sauce. An old school donut shop serving up apple fritters the size of yo’ head. I mean, come on. It’s TARTINE BAKERY. Anything here is good, but the brioche… Oh my god, the brioche. Crusty and sweet on the outside; tender and airy on the inside. Perfection. Some of the best ice cream anywhere. I particularly love the brown sugar with ginger caramel swirl. Be sure to check out their awesome gourmet market across the way, too. Phew. That was intense, right? 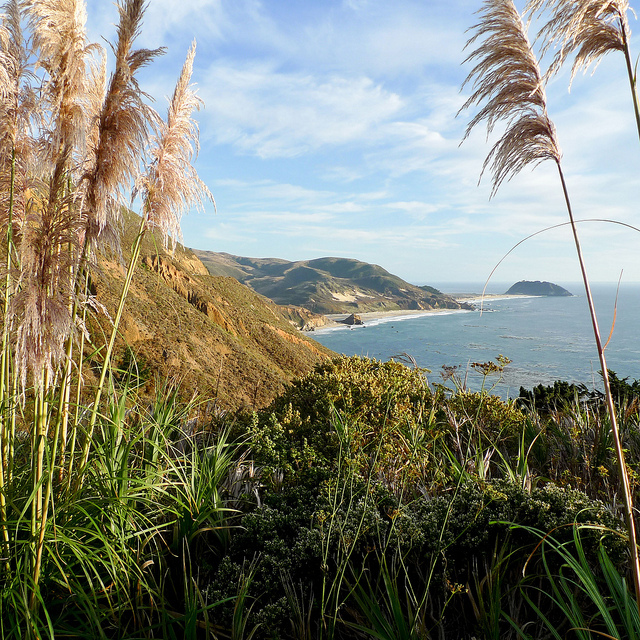 For me, traveling is about experiencing a place the way the locals do. I usually stay as far away from the touristy spots as possible, and do my best to dig up the best hidden gems. Luckily, San Francisco is bursting at the seams with awesome stuff. I can’t wait to go back, and maybe next time it’ll be as a permanent resident. 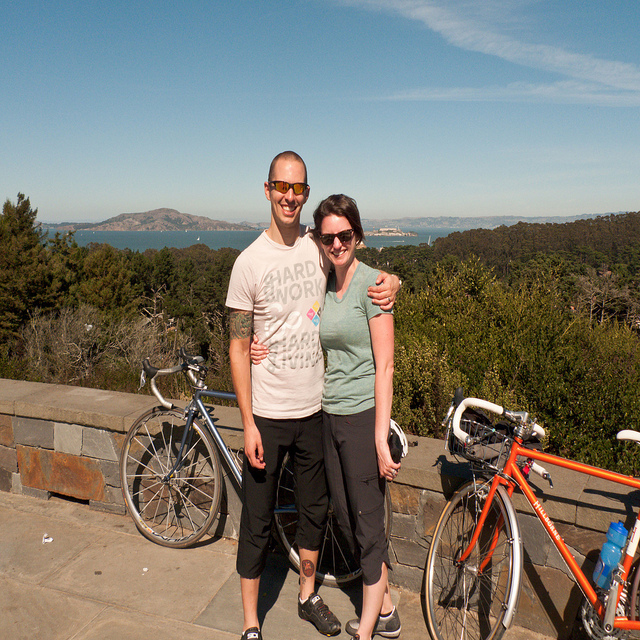 If you’re so inclined, you can browse the rest of my trip photos here. I love your blog and happen to live in San Francisco 🙂 Sounds like your friends did you right by taking you to taste all the best spots, glad you enjoyed eating your way though SF!! 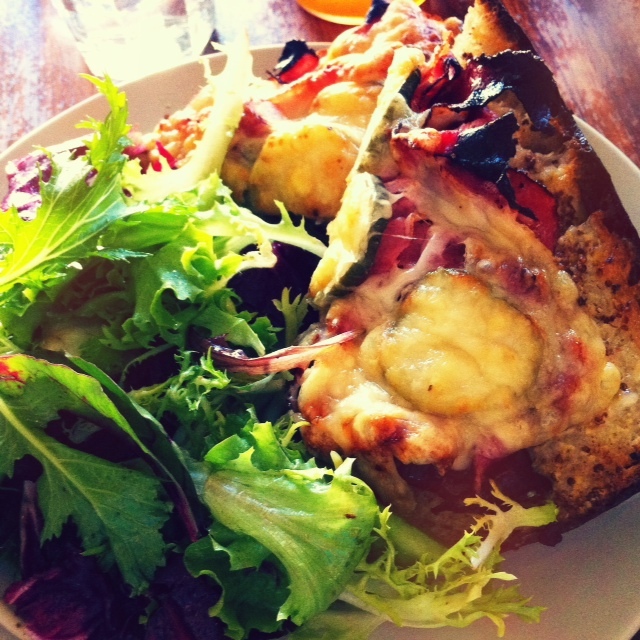 I’ve got make it up and check out Tartine at some point, I’m dying to go there. Oh, I love SF so much too. I lived in the Bay Area for much of my youth and it’s sad to say I’ve never been to any of those places you mentioned above. The anchovies looked phenomenal, though. You know how much I love those little fishies. 🙂 Would you really consider re-locating to SF and leaving Chicago? I love Chicago a lot too and it would be a hard toss-up deciding between the two. Looks like y’all had fun. Thanks for sharing. Ive never been that far past the Mississippi river but I only hear amazing things about SF. Someday I will make it there… someday.